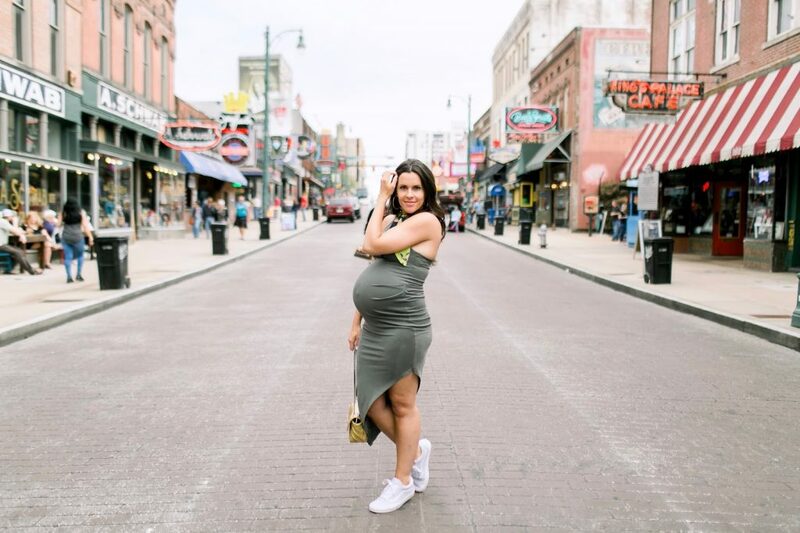 A Whole Lot Of Belly On Beale, Too Much? 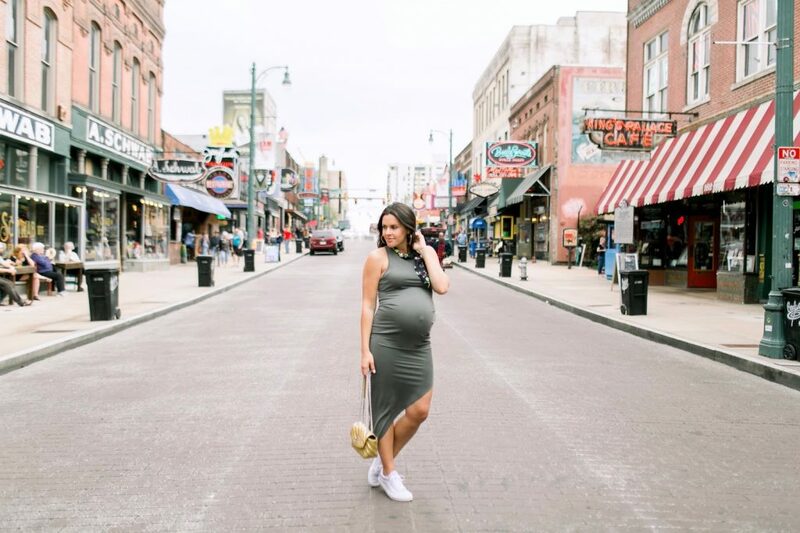 When I was walking on Beale Street a couple weeks ago there were a few people that made comments towards me because of my pregnancy. 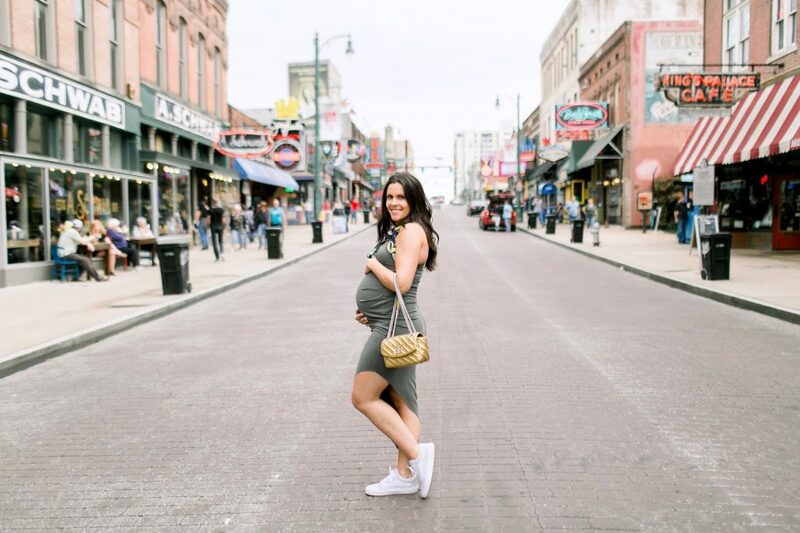 It was a little awkward because I wasn’t feeling pregnant and I was just walking with my friends. Now that I see these pictures I understand (somewhat) why people were looking, I look like I’m about to pop. In reality I still had 1 month to go! But that still doesn’t give a stranger the right to comment on my body or tell me what I should and shouldn’t be doing because I’m pregnant. 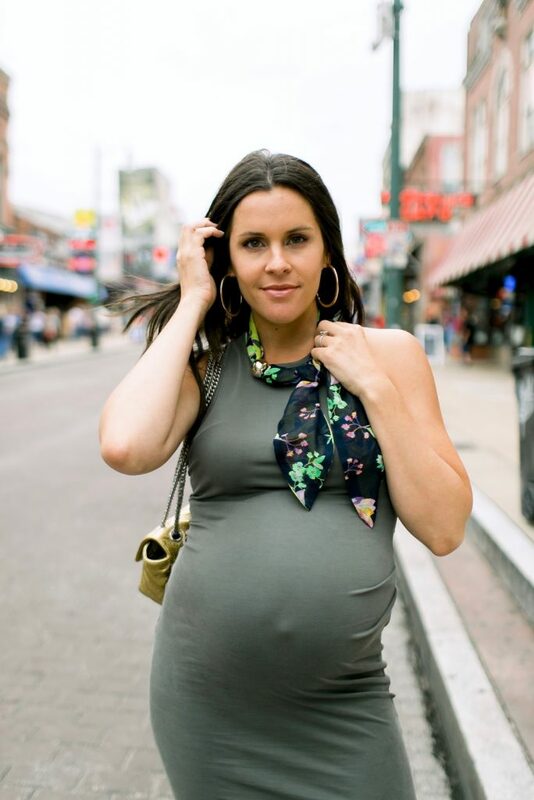 Have any of you mothers experienced awkward pregnancy comments from strangers? It’s not only the comments but the stares. I am still just a normal person that just that happens to be carrying a child. Only one child too. Can you imagine if women really sat at home during the end of their pregnancy because they looked so different than the rest of society? That would be awful. I actually went to a Cold Play concert two days before I had my first child. A few people asked when I was due after complimenting me. That is the correct way to make a comment to a pregnant women, always include a compliment. I will contine to be out and about no matter how large I look or how far out my belly is popping. Casual sneakers and a dressy bag turned into a great combo! I love mixing high and low items, even casual and dressy. This look could be easily worn to a dressy event like a wedding or rehearsal if I added heels. The metallic bag, fitted dress and scarf are all pieces that can be dressed up or down, since I added sneakers the outfit instantly became casual. Before we went to Beale Street we toured the Rock ’n’ Soul Museum (which happens to be basically connected to the FedEx Forum and I never knew!) and I had been in heels the night before and was going to be in them later this night so snearks were a must. 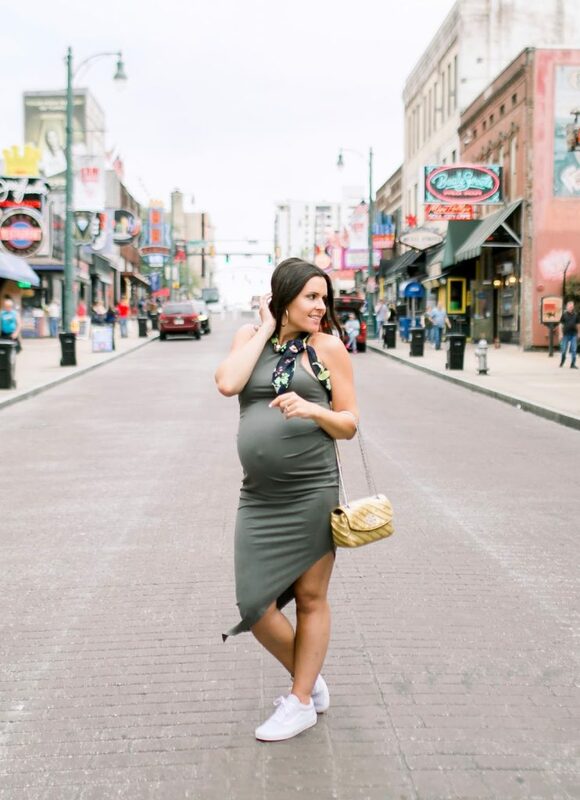 I also wore this dress in September right when I found out I was pregnant! It was the last shoot where I felt like my abs still existed, click here to read it!